British gardeners will go to any lengths to grow plants that really shouldn’t enjoy our chilly, damp climate. 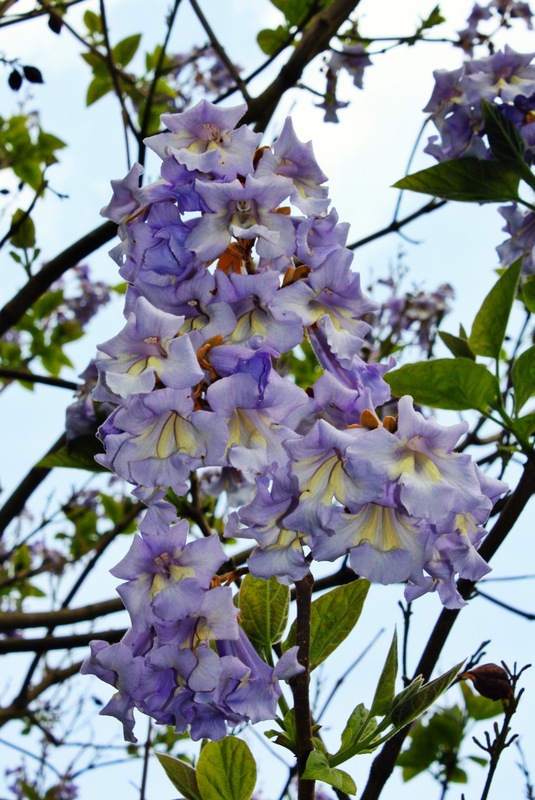 Once such plant is the foxglove tree, Paulownia tomentosa, prized for its large ornamental leaves and luscious lilac-coloured flowers. The cool start to the year has ensured that flowers have appeared late, avoiding frosts and guaranteeing a truly exotic display. Pictured here in The Abbot’s Garden, Winchester. Wow, wow, wow! We don’t have that one in Chicago!!! I think The Windy City may be just a tad too chilly sadly! Still one of my favorite flowering tree – the Princess tree! Maybe hard to believe but survives and flowers well even in the cooler climate of some eastern European countries. I believe seeds from such a hardy ‘parent’ tree would produce hardy seedlings as well (like in many other cases). Yes, I think it’s pretty hardy, it’s just that our late frosts often ruin the big show. In many gardens it’s coppiced purely to encourage larger leaves at the expense of the flowers. A tree with two great attributes to choose from! We’ve had one for years, rather tucked away to protect it from the frost. I’ve hardly ever seen flowers on it, but our neighbours, just a few degrees warmer, grow it beautifully! I love how these exotic trees manage to find a niche in gardens around the world, wherever conditions suit. Perhaps global warming will give you the edge in time ;-). Love the photos in your latest post by the way – never fails to surprise me that just when spring arrives here, the leaves are turning down there. Beautiful colours you’ve captured.